Gathered Thursday for the concert in Lincoln, Neb., were, from left, Shelly Shepherd Nissly, Dan Nissly, Mike Caufield, Diane Caufield, Jake Nissly, Kevin Peterson, Cassidy Shepherd Peterson, Cindy Shepherd and Paul Shepherd. Dan and Shelly Nissly of Beatrice, Neb., and formerly of Grimes killed the fatted calf this weekend for the homecoming of their son, Jake Nissly of San Francisco, who was passing through Lincoln, Neb., with his work. 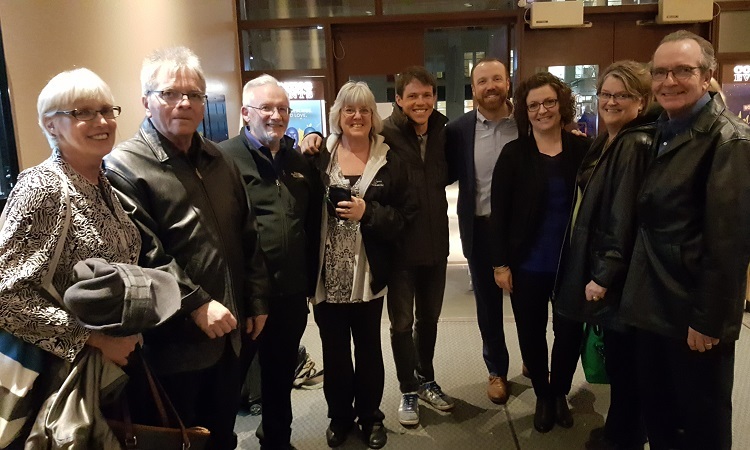 Jake is the principal percussionist in the San Francisco Symphony (SFS), which performed at the Lied Center for the Performing Arts in Lincoln Thursday night and Friday night at Stephens Auditorium in Ames. Greeting Jake at the Lied Center were his parents; his aunt and uncle, Cindy and Paul Shepherd of Beatrice; his cousin, Cassidy Shepherd Peterson, and her husband, Kevin Peterson, of Osceola, Neb., and his cousin, Mike Caufield, and his wife, Diane Beuthien Caufield, of Dallas Center. A partisan enthusiast tossed an Iowa State Cyclones cap to the chief percussionist, who doffed it with a sporting grace, pace his Cornhusker commitments. Nissly began his musical studies in the Dallas Center-Grimes Elementary School and continued his pursuit at Dowling Catholic High School, Northwestern University and the Juilliard School. 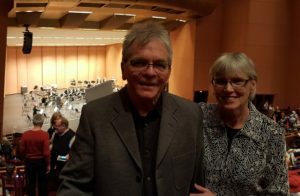 He joined the San Francisco Symphony in 2013 after previously serving as the principal percussionist in the Cleveland Orchestra and the Detroit Symphony. The Thursday and Friday performance programs each began with a suite by Maurice Ravel, “Le Trombeau de Couperin,” a rich, lush, florid work well befitting the springtime. Felix Mendelssohn’s Violin Concerto in E minor was the evening’s second piece, with violinist Alexander Kerr, concertmaster of the Dallas Symphony, giving an energetic performance of a work notorious for its supreme technical difficulty. Jean Sibelius’ Symphony No. 2 in D major followed the intermssion. The walking bass lines at the start of the second movement and the sweet oboe melody in the blistering third movement were notable from this performance of a densely complex and very late romantic work from the early 20th century. The crowd cried out for more, and Peter Tchaikovsky’s “Marche Miniature” was brought forth as a small and delicate morsel to close the show, with Nissly playing purely on the xylophone. 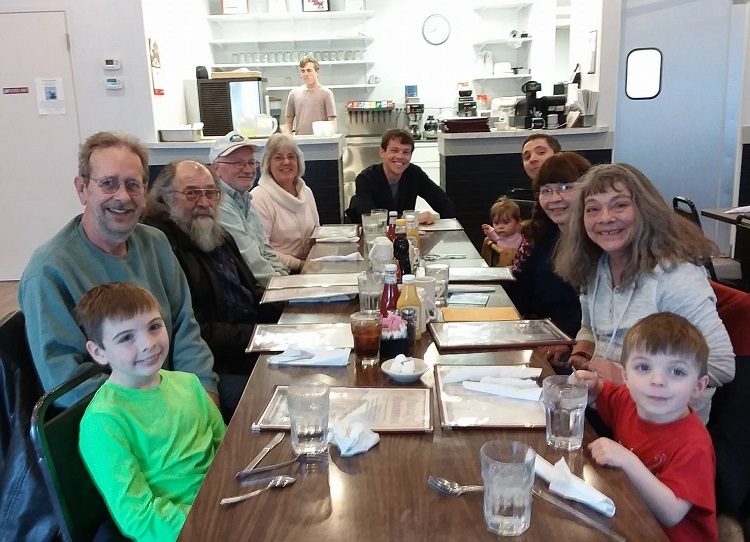 Saturday and Sunday brunches followed for the strolling musician, first at Patrick’s in Adel and Sunday, in celebration of Dan Nissly’s 67th birthday, in Beatrice. The family agreed it was a rite of spring they hope often to see repeated with variations. Meeting for Saturday brunch at Patrick’s in Adel were, clockwise from left, Oliver Moehlis, 9, Richard Wright, Gary Silver, Mike Caufield, Beth Beuthien Caufield, Jake Nissly, Matt Moehlis of Urbandale with 6-month-old daughter Sylvie, Peggy Nissly Silver, Mary Nissly Wright and Milo Moehlis, 3.